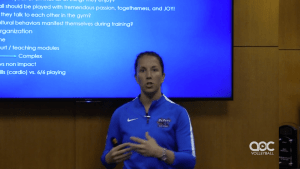 DePaul University women's coach Marie Zidek says that culture is “infectious.” Once you instill a culture, it starts to snowball. 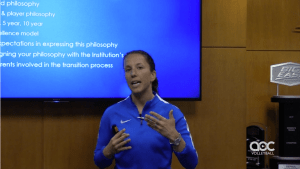 The first aspect of Zidek’s culture-building technique is creating an understanding between the players and coaches that both parties have similar goals, integrity and honest communication. She says short-term and long-term goals give incentive and clear ambitions to both the players and the coaches. Another piece of the puzzle is engaging parents in the process, which can take several forms. 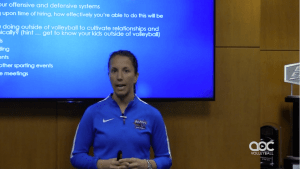 Zidek uses social media and frequent communication to sustain parent and coach relationships, further building her program’s trust network.